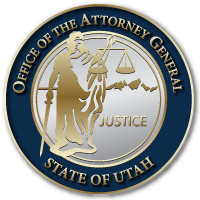 In an op-ed published in the Deseret News on July 27th, Attorney General Sean Reyes shares the history of the three-digit number for mental and behavioral crises. A journey which started with a few in Utah – and led to the creation of the SafeUT app – reached a milestone as the U.S. House of Representatives overwhelming voted in favor for the creation of a National Suicide Hotline. There are many theories about why this is. No one knows exactly all the reasons. We do know there are hyper-vulnerable populations like veterans, LGBTQ youths, and victims of abuse. We know that depression is one of the largest drivers. Bullying, isolation, traumatic incidents, or addiction can also be major contributors. We also know there is too much stigma, shame, and judgment when it comes to those grappling with mental and behavioral challenges. When someone gets cancer, the neighbors pull together to support them; when someone is diagnosed with mental illness, the neighbors gossip. The person in pain is often assumed weak or somehow deserving of his or her circumstances. Families are sometimes embarrassed. Some fear that talking about suicide will encourage it (studies show this is not the case). Many lack an understanding of how to even address the unthinkable. Avoiding the topic, though, has done nothing to help those in crisis, those who are hurting and feel alone, those who are silently suffering. Long before I came into office, I supported friends and families dealing with suicide ideation, suicide attempts and, in the most tragic cases, death. As an ecclesiastical leader, I felt a great responsibility to help but realized my own ignorance and at times, insensitivity. It seemed there were few resources for those trying to support and particularly for those suffering. When I became attorney general in 2013, I knew we had to do more as a state. Too many youths were turning to suicide to escape pain, loneliness, addiction and mental illness. Even one life lost to suicide is too many. In those days the biggest advocate I could find for suicide awareness was state Sen. Daniel Thatcher. He was informed, full of compassion, and relentless. Many discouraged him and me from prioritizing suicide resources and emergency intervention. Their “friendly” advice was that it was too dark to discuss and would hurt us politically. Undeterred, Sen. Thatcher and I enlisted the help of state Rep. Steve Eliason in the 2014 legislative session to find ways to help those in crisis. My incredible chief of staff at the time, Missy Larsen, led our office’s initiative and testified with Sen. Thatcher in support of a three-digit number for mental and behavioral crises, similar to 911 for physical emergencies. Political opposition defeated our efforts, so we turned toward a smartphone app that could be a lifeline. In 2015, with the help of the University of Utah Neuropsychiatric Institute, we created the SafeUT app. Today, trained mental health professionals chat, text, and counsel thousands of Utah teens through SafeUT. The program is credited with saving many lives across the state and has become a national model other states are seeking to emulate. And yet, even then, we knew it wasn’t enough. The suicide rate remained too high. In 2016, conversations with Sen. Orrin Hatch and Rep. Chris Stewart gave new hope to create a three-digit line — not just in Utah but nationally. Sen. Hatch and his team were amazing. He sponsored legislation creating a national suicide hotline, passing the Senate in the fall of 2017 with the support of Sen. Mike Lee. Since that time, as the lead House sponsor, Rep. Chris Stewart and his dedicated staff have pushed the bill with House leadership, getting it passed this week with a vote of 379 to 1. Creation of the three-digit National Suicide Hotline is a huge victory for Utah and our country. I thank Sen. Hatch and Rep. Stewart for successful passage of this landmark legislation. This further cements Sen. Hatch’s legacy as one of the greatest protectors of children and families in our nation’s history. I offer my gratitude to the many people around our state who have advocated for this bill, including Chief Missy Larsen, Councilwoman Aimee Winder Newton, members of the state’s suicide task force who have helped advocate for this measure, and especially state Sen. Thatcher and state Rep. Eliason. Soon, anyone can call a three-digit number and connect with a trained mental health professional who will listen, help, and connect them to resources that save lives. At the root of all our efforts to prevent suicide is the need to connect, to feel valued, and to feel like we belong. Working together, we can make those around us feel valued and let them know that they matter. We can each do more to end or alleviate the causes of depression, loneliness, victimization, and mental illness. And while we try to diminish isolation and disconnectedness, we now have another tool to stop suicide and help those in crisis know there is hope. This entry was posted in Recent Posts and tagged mental health, SafeUT app, suicide hotline, suicide prevention, U.S. House of Representative on August 2, 2018 .